Huawei Technologies Co.’s chief financial officer was arrested in Canada over potential violations of U.S. sanctions on Iran, provoking outrage from China and complicating thorny trade negotiations just as they enter a critical juncture. 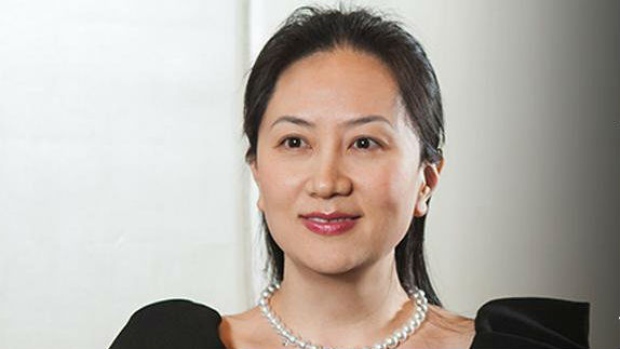 Wanzhou Meng — also deputy chairwoman and the daughter of Huawei’s founder — faces extradition to the U.S., said Ian McLeod, a Canada Justice Department spokesman, declining to elaborate. She was arrested Dec. 1 after the U.S. Department of Justice in April opened an investigation into whether the leading telecommunications-equipment maker sold gear to Iran despite sanctions on exports to the region. News of Meng’s arrest provoked strong protest from the Chinese embassy in Canada, which called it a violation of its citizens’ rights while demanding the U.S. and its neighbor “rectify wrongdoings” and free Meng. Her arrest is sure to heighten tensions between Washington and Beijing days after the world’s two largest economies agreed on a truce in their growing trade conflict. Meng’s father Ren Zhengfei, a former army engineer, has won acclaim at home for toppling Apple Inc. in smartphones and turning an electronics reseller into a producer of networking gear with revenue surpassing Boeing Co. He’s regularly named among China’s top executives, and was among 100 business leaders honored for their contributions as the country celebrates the 40th anniversary of opening its economy. His stature at home is roughly comparable to Bill Gates or Michael Dell in the U.S. The CFO’s arrest -- the same day Donald Trump and Xi Jinping dined in Buenos Aires --- is likely to be regarded back home as an attack on one of China’s foremost corporate champions. While Alibaba Group Holding Ltd. and Tencent Holdings Ltd. dominate headlines thanks to flashy growth and high-profile billionaire founders, Ren’s company is by far China’s most global technology company, with operations spanning Africa, Europe and Asia. Huawei’s ambitions now range from artificial intelligence and chipmaking to fifth-generation wireless. That last effort, a massive push into the future of mobile and internet communications, has raised hackles in the U.S. and become a focal point for American attempts to contain China’s ascendancy. Shares in several of its suppliers, from Sunny Optical Technology Group Co. and Largan Precision Co. to MediaTek Inc., fell. Lorne Steinberg of Lorne Steinberg Wealth Management gives his outlook for the markets. Once a purveyor of unremarkable telecommunications equipment, Huawei’s now No. 2 in smartphone shipments and is shooting for the lead in fifth-generation wireless networks while preparing to take on some of America’s biggest chipmakers. It’s already by some reckonings the world’s largest provider of networking equipment to wireless carriers, outstripping the likes of Ericsson AB with growing sales in Europe. It’s declared its intention to surpass Samsung Electronics Co. in phones as well. The company is targeting record sales of US$102.2 billion this year.